Despite reporting first quarter losses, Tesla has announced a “challenging” goal to hit its 500,000 car milestone two years earlier than originally planned. Citing high demand of the upcoming Model 3, Tesla is shifting its business strategy and setting its sights on long-term earnings. Instead of sticking to its original goal of 2020, Tesla aims to crank out its 500,000th car by 2018. They just have to come up with the money to pull it off. When Tesla opened up pre-orders on the Model 3, some 375,000 people signed up in the first two weeks. Tesla originally planned to start production on the Model 3 about 18 months from now, but the incredible demand inspired company leaders to rethink those plans. Still, Tesla says it will need “some additional capital” in order build its 500,000th car by 2018, without offering details about what that means. 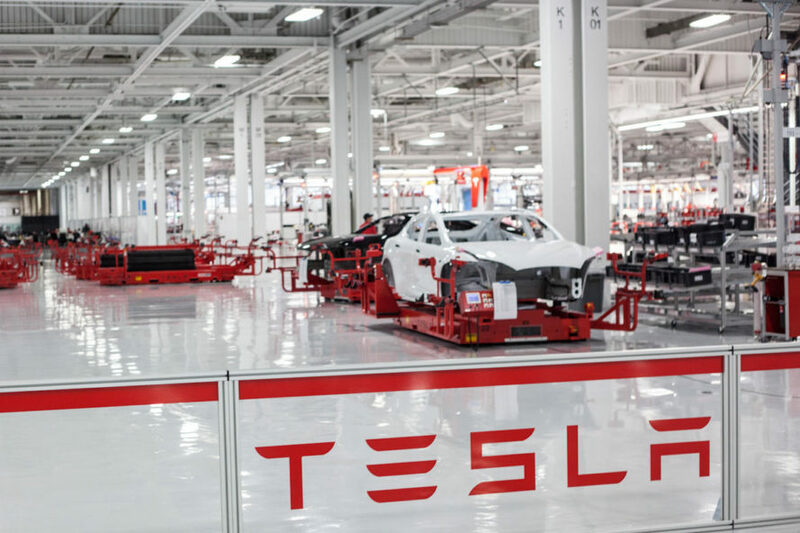 To increase production rates, Tesla made major factory upgrades in 2014, adding a fleet of robots which are named after X-Men characters. The time needed for many processes was cut in half thanks to that renovation. This week, Tesla announced it plans to end the second quarter of 2016 cranking out a staggering 2,000 vehicles a week, indicating the half-million marker is a serious goal. Tesla has announced its plans to build its 500,000th electric car by 2018, two years ahead of the original goal.